Discerning people can be tricky characters to shop for. When someone is stylish, suave and seems to have it all, you might think that finding them the perfect present is an impossible undertaking. You may not have the budget to buy any of their usual designer favourites, or you may not know where to go to find that perfect gift that will have their jaw dropping. It’s stressful, we know, but you can relax. Here at Brother2Brother, we pride ourselves on being the number one destination for the fashion conscious man, but if you’re looking for something for that special lady in your life – don’t worry, we’ve got you. If the love of your life has serious style chops; if they won’t be seen dead without their designer trainers and love turning heads, this is the place for you. We’ve compiled a Valentine’s Day gift guide to suit all budgets, tastes and genders, so if you’ve been struggling to find something to wow them, look no further. From fashion emperors Valentino comes this sophisticated leather wallet. 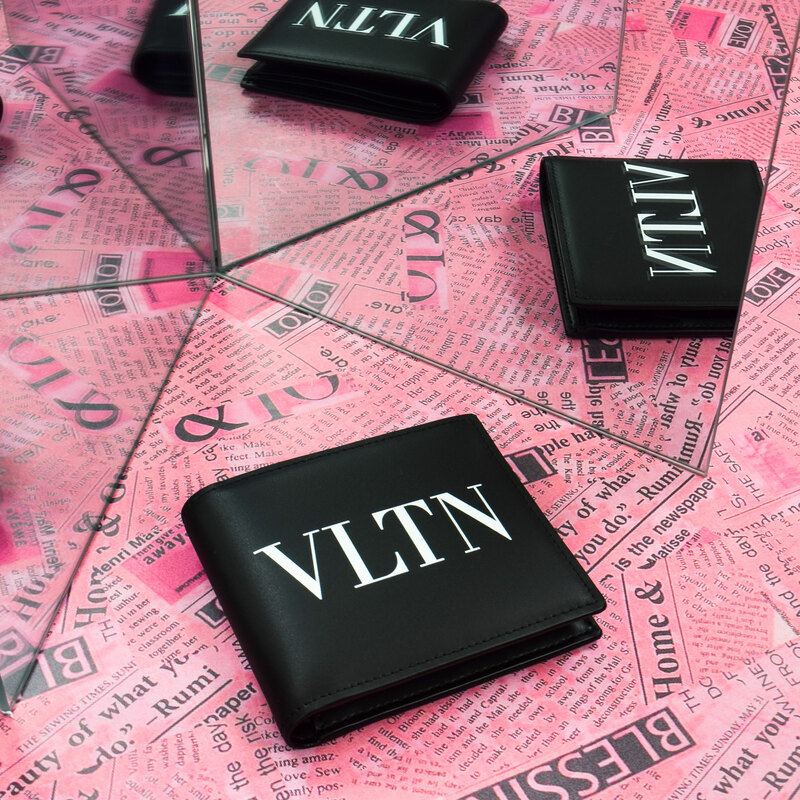 If your boo is constantly leaving their change hanging around the house, or their existing wallet is so old it’s practically two wallets, this might be the perfect gift for them. Crafted from leather, the design is kept classic and simplistic, with the Valentino logo emblazoned across the front of the wallet in white, starkly contrasting with the black background. Everyone will know it’s Valentino, but that’s never a bad thing. If the love of your life loves being the centre of attention then seriously consider this belt as their gift. 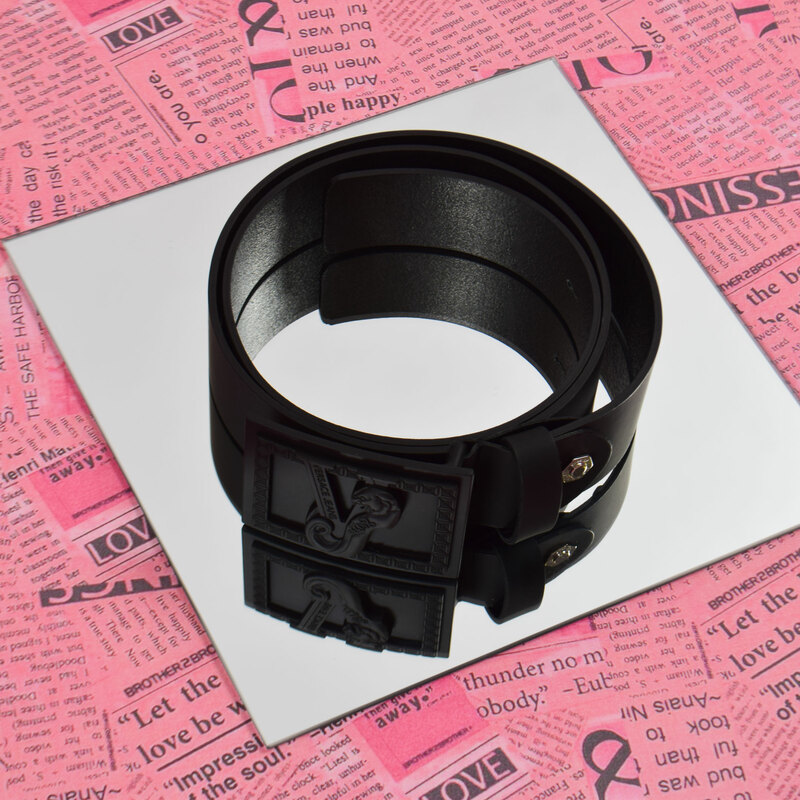 Versace is over the top, ostentatious and opulent, and this belt follows that remit. Made from textured black leather, the belt features a large buckle and the signature Versace Jeans logo. Every item on your body is the chance to make a statement, even your belt! Unicorn, rainbows and glitter seem to be everywhere nowadays, but it can be very difficult to wear them and remain tasteful. Well, DSquared2 have got your back with these high end, luxury trainers featuring rainbow stripe detailing. The shoes are crafted from polyester and calf-skin mix and feature a contrasting colour palette of white and grey. The signature DSquared2 maple branding to the heel completes the shoe’s design. Available in sizes 7 to 10, these shoes are the perfect gift for the runner in your life who loves a pop of colour. Fashion conscious folk everywhere will already be planning their summer wardrobes. This baseball cap from MCQ by Alexander McQueen would make an exquisite edition to any cap enthusiasts collection. 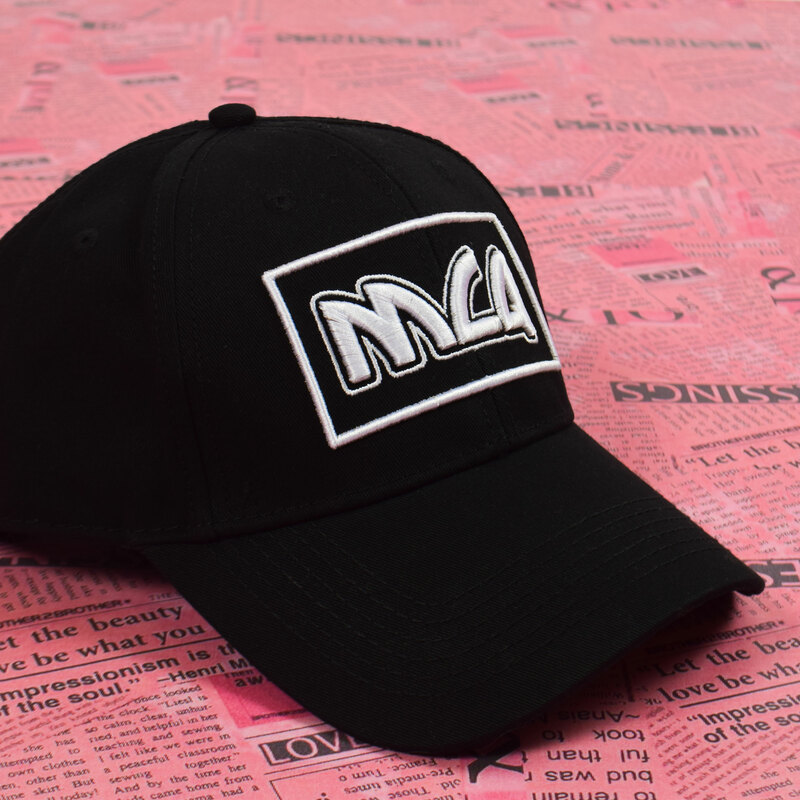 Crafted in black cotton, the statement comes from the large MCQ logo emblazoned across the face of the hat in contrasting white. It’ll keep the sun out of their eyes and their fashion credentials tip top, so if you and bae are planning a summer getaway, make this their Valentine’s Day gift. This stunning collection of phone cases from Canadian design powerhouse DSquared2 comes in a range of bold colours and designs. The icon case, available in red and black, features the DSquared2 branding on the back, as well as the word ICON in white, contrasting the darker background colour. Everyone thinks their significant other is an icon, so show them how you feel with this case as a gift. 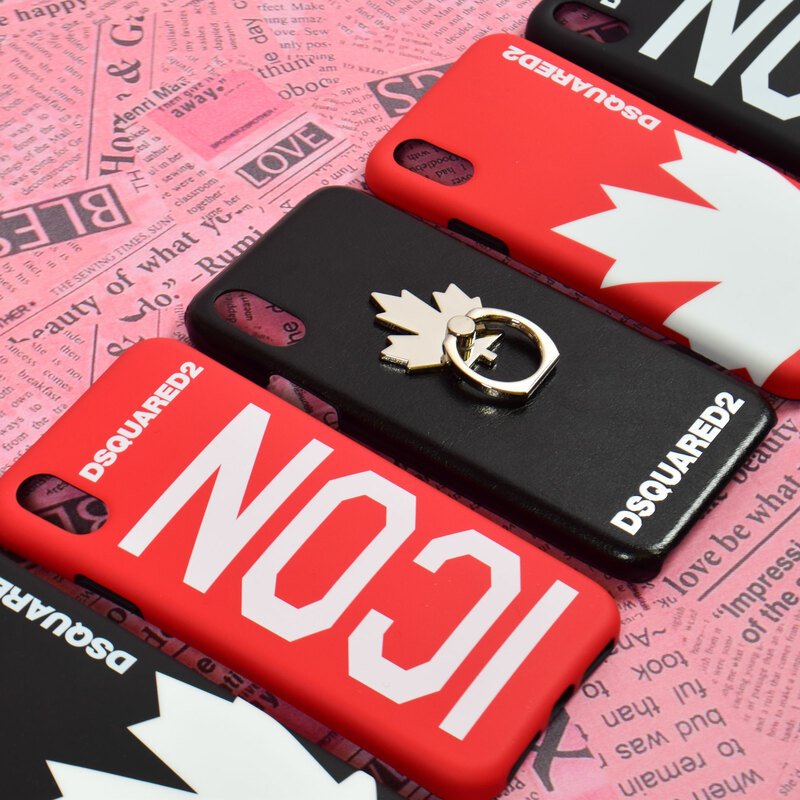 The Leaf phone case also comes in red and black, and features the DSquared2 branding above a Canadian maple leaf. DSquared2 are known for incorporating as much of their Canadian heritage into their designs as possible, so this case is sure to get heads turning. Got a selfie addict in your life? This stunning black phone case comes complete with a ring attached to the back, perfect for holding their phone steady when they’re taking their 50 selfies a day. The ring is attached to a chrome finish maple leaf, and the case itself has a leather effect. It’s classy and effortlessly cool and would not look out of place on Instagram. Surprise your photogenic sweetheart with this case on Valentine’s Day.